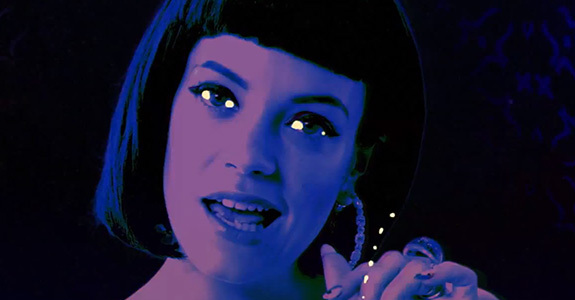 Potty-mouthed pop starlet Lily Allen made a splash with her comeback single, “Hard Out Here.” And now, a few months later, Allen’s at it again with, “Air Balloon.” This time, however, she’s ditched the bite of her auto-tune heavy social critique for something undeniably sweeter. Featuring the return of Allen’s signature sing-song vocals, “Air Balloon” is a dizzying – but not unpleasant – listen that seems equal parts nursery rhyme and acid trip. It’s an interesting sound to tap for a second single, but perhaps it’s too “cutesy” a track for mainstream radio fame? Only time will tell, obviously, but with two simultaneous top ten hits, “Hard Out Here,” and Keane cover, “Somewhere Only We Know,” things are definitely looking up, up, up for our girl Lily.